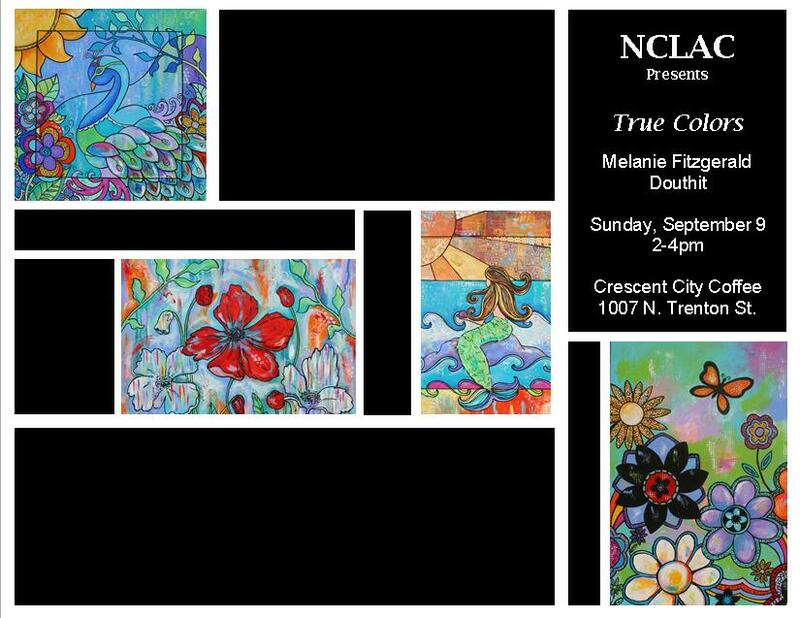 On September 9th, Louisiana artist Melanie Fitzgerald Douthit will be presenting her paintings in a show entitled, “True Colors”, at Crescent City Coffee House. The North Central Louisiana Arts Council is pleased to partner with Crescent City Coffee to represent Melanie this September. The opening reception will be held from 2-4pm on that Sunday, September 9th, but her work will continue to hang in the coffeehouse through late November. 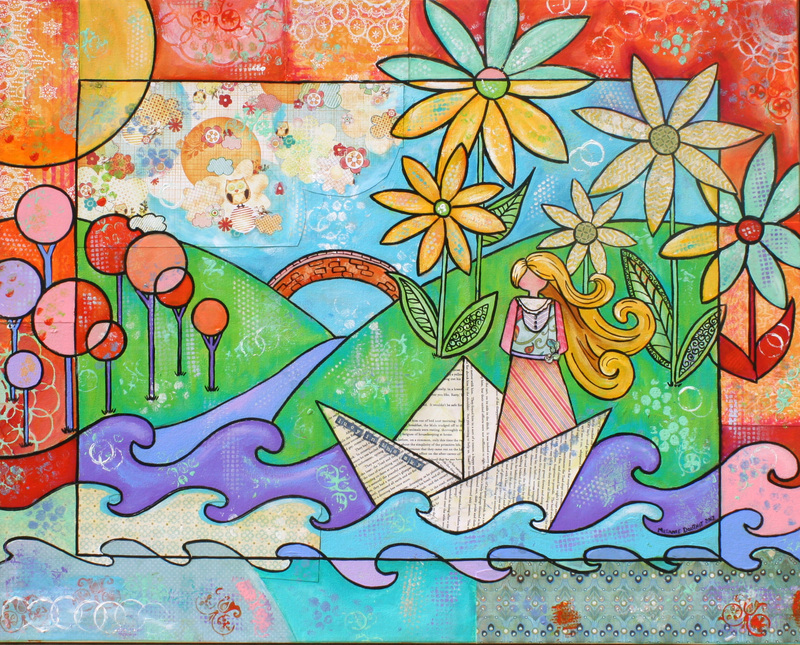 Melanie is a full-time artist and free-lance craft designer, living in Monroe, LA. Her work is nationally-shown and her paintings have been collected by Mimi’s Café Restaurant in over 30 locations nationwide. Her work is also held in private collections internationally. In 2004, her artistic endeavors branched out towards the paper craft industry, and since then her paper creations have been published in national craft consumer magazines such as Crafts n Things, CardMaker and Just Cards. NCLAC enjoys partnering with Crescent City Coffee on their quarterly art exhibitions. It is a full-scale coffee bar serving a variety of beverages, in addition to pastries, salads, and a delicious lunch menu. Open daily from 6am-12pm, they offer a fresh brewed cup of Joe any time! If you are interested in purchasing a work in “True Colors” look for NCLAC’s Executive Director Jessica Slaughter or Gallery Coordinator Sophia Maras at the reception. However, if you decide after the reception that you must have one of Melanie’s cheerful paintings, it won’t be too late! You may contact NCLAC at 318-255-1450, or stop by the Dixie Center for the Arts Monday through Thursday between 9 a.m. and 2 p.m. So join us Sunday, September 9th from 2-4pm, for some beautiful artwork, fresh coffee and sweet treats!